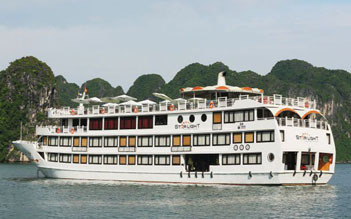 Starlight Cruise is proud to be the most luxurious yacht in Halong Bay with spacious space and modern equipment. 32 cabins are fully equipped as a 5-star world class hotel. 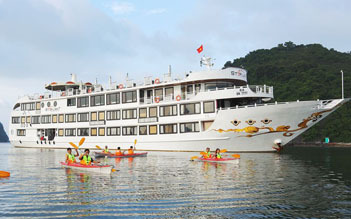 The yacht turned the dream of building a "floating" luxury hotel in beautiful Halong Bay into reality. Coming to Starlight cruise, guests are greeted with smiles, the professionalism in service and care to ensure a memorable trip. 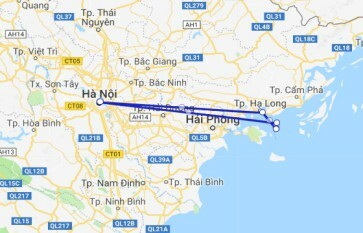 The cruise will bring passengers to famous destinations such as Three Peaches beach, Dark and Light Cave in Lan Ha Bay, Vung Vieng fishing village, or Dau Chau islet. All are exciting things waiting for you at Starlight cruise.